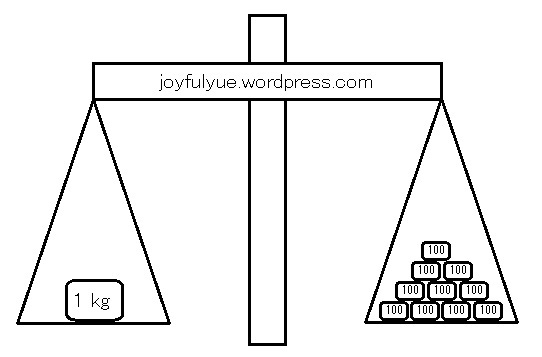 In “Why Do We Learn Average?”, we learn 1 kg = 1000 g. As adults, we understand the concept of 1 kg = 1000 g, which means if I carry 1000 bags weighting 1 g each, it means I carry a total weight of 1 kg. But children are confused when they see “g” and “kg”. (a) The weighting scale is balance. 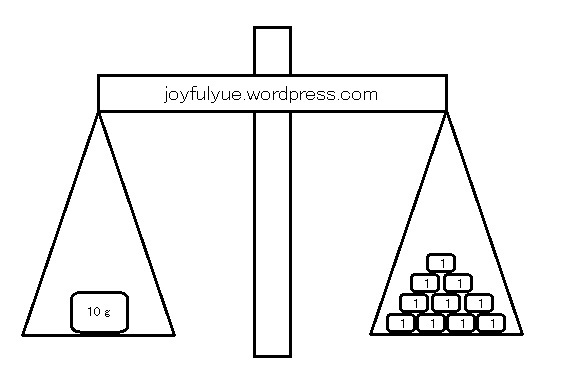 Thus, we know the weight on the right is equal to the weight on the left. 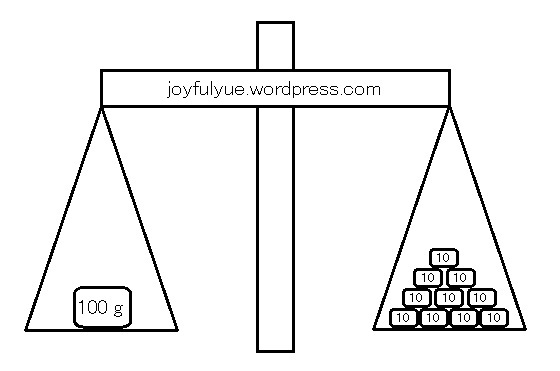 That means if I have 10 bags weighting 1 g each, I have a total weight of 10 g.
(b) The weighting scale is balance. With the 10 g each bag from example (a), I fill 10 bags. So, I have 10 bags with 10 g each. Thus, I have a total weight of 100 g.
(c) The weighting scale is balance. With the 100 g each bag from example (b), I fill another 10 bags. So, I have 10 bags with 100 g each. Thus, I have a total weight of 1000 g, which is also equivalent to 1 kg. On the other hand, if I just have many bags of 1 g, for 1 kg, I will have 1000 bags of 1 g each. By Wendy in Mathematics on 20/08/2013 . The pictures are not showing properly in my pc. If the same thing happens when you read, please click the picture, and you will see the picture. Please feedback if you face any other problem. Thanks.